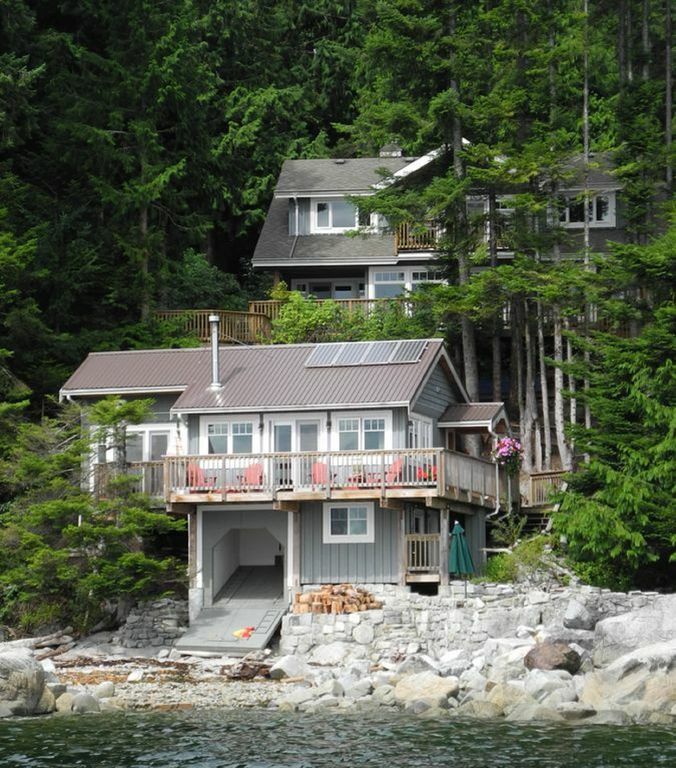 Welcome to Stillwater Beach House, situated on beautiful Frolander Bay in the Stillwater area south of Powell River, B.C. We are on the waterfront, nestled amongst towering evergreen trees with incredible views of Malaspina Strait and Texada Island. Whatever the weather, the setting is truly magnificent at all times of the year! This cozy getaway is an ‘eco-friendly’, self-catering beach house with the ocean just a few meters away. It's an ideal location where you can relax and enjoy the many outdoor activities this beautiful area has to offer. It's a wonderful place to enjoy time with family and/or friends! We purchased the above property with an old cabin on the beach as a getaway from the pressures of city life in Vancouver. This quiet rural area known as 'Stillwater' twenty kilometers, south of Powell River became our family's place of tranquility and restoration. When we both retired in 2001 we moved from Vancouver to commence building our retirement home. A few years later we decided to renovate the 'old cabin' and recently completed our eco-friendly 'Beach House' which we now offer for your enjoyment. Living right next to the ocean on a well forested acreage in a rural setting has proven to be a very healthy and beneficial lifestyle choice for us. We appreciate the opportunity to conserve energy whilst not compromising our appreciation of comfort and beauty. To live off the grid most of the time thus assisting in our overall hope to minimize our ecological footprints. Modern bathroom with comfortable soaker tub overlooking the beach and separate shower. The composting toilet has been replaced with a standard toilet. Property above cottage is well treed. Situated right on the ocean, south facing rocky beach. Grass area surrounded by rock walls for your relaxation. Rocky beach access off deck down stone steps and over rock wall. Dishwasher energy efficient and runs very quietly. Hot water outdoor shower, solar panels and many other environmentally friendly amenities situated right above the ocean. Close access to Sunshine Coastal Trail huts, canoe/kayaking on ocean and lakes and within striking distance of Desolation Sounds and Princess Louise Inlet boat tours.